Get a Free Fence Gate with Purchase! Beitzell Fence has provided high-quality fences, unsurpassed service and low prices for over 30 years. Beitzell Fence is family-owned and offers a wide variety of residential and commercial fencing. Our fences will enhance your property and boost your security. Beitzell Fence can provide fencing for homes, businesses and athletic facilities. Contact us today for a FREE ESTIMATE! Beitzell Fence offers design, installation and maintenance. You won’t have to worry about the details because we can handle everything. Our experts can take care of your fencing from planning to building to repairing. We pride ourselves on exceptional customer service. It’s the reason we’ve stayed in business for so long. We are proud members of the American Fencing Association and the Northern Virginia Building Industry Association. Your commercial property is more than a building or a piece of land. It’s your nest egg, your workplace, your plans for the future. It’s the culmination of years of work and thousands of hard-earned dollars. Why wouldn’t you do anything you can to protect it? For commercial clients, we recommend chain link fencing, aluminum fencing, high-security fencing and high-tech access gates. The chain link fence provides you a versatile security layer with basic protection and many add-on options. 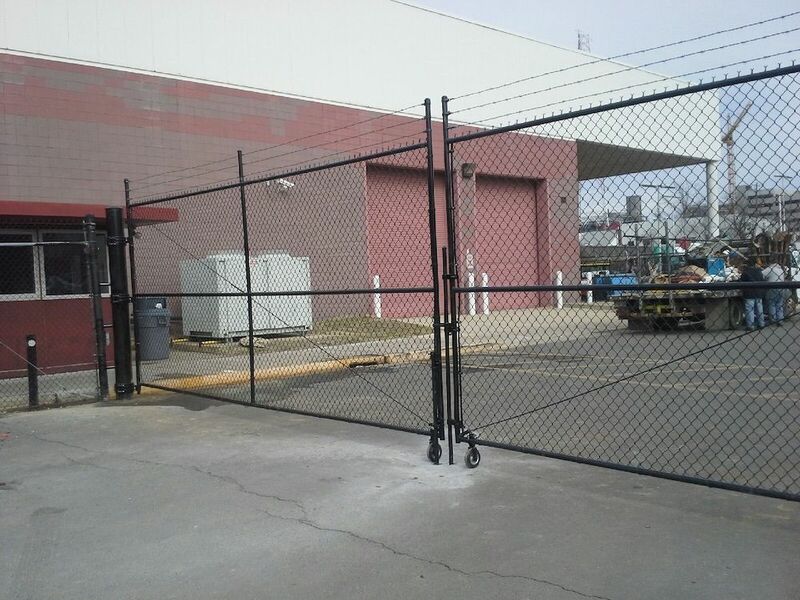 We can install ID access gates, barbed wire or privacy slats on any chain link fence. And we can build them to any height in a host of styles. Chain link is commonplace. 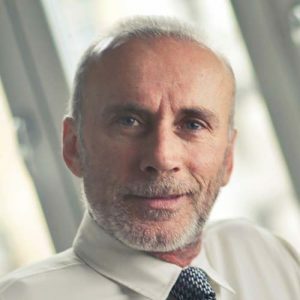 It adds security without alienating clients and customers. Chain link requires little maintenance and has a long expected lifespan. 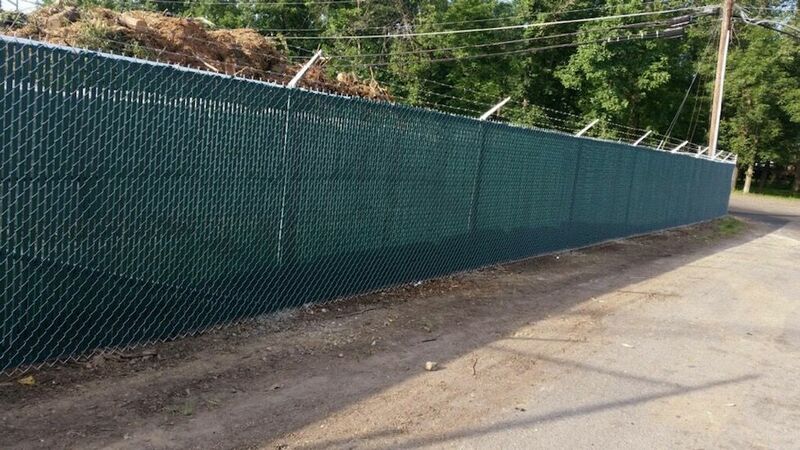 Chain link fencing is budget-friendly, so even small businesses can have high-value security. At Beitzell Fence, we know our clients value aesthetics. That’s why we recommend aluminum fencing for clients who want to combine charm and function. Our designers can help you pick which style works best for your property. We can design and install aluminum fences with 2 rails, 3 rails, brick pillars, decorative rings, spear tops or flush tops. Your commercial property will look great with an ornamental fence. Our commercial aluminum fences require no maintenance and last decades. They come in a variety of heights to suit your business’ needs. 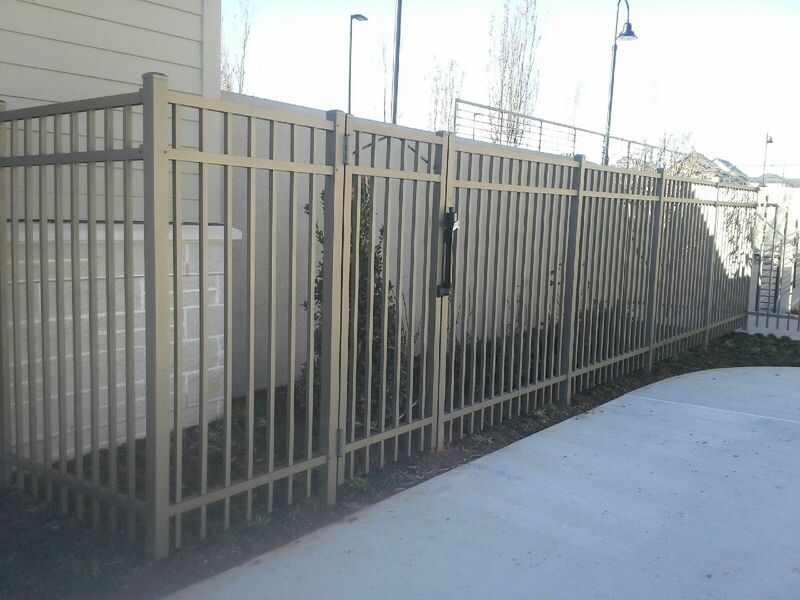 We design and install high-security metal fencing for businesses that need serious fortification. Our high-security fences pose formidable barriers. All the add-ons that come with chain link fencing are also available. They are very resistant to climbing, cutting and breakage. Our security fences safeguard many types of facilities. We can protect government and military assets such as military bases, shipyards, airfields and correction institutions. We can secure industrial and commerce sites like power plants, factories, campuses and hospitals. Our fences are trusted to guard infrastructure like rail lines, highways, ports and pipelines. And we’ve worked with municipalities to shield police stations, fire stations, schools, landfills and pump stations. We design and install the latest in entranceway protection. 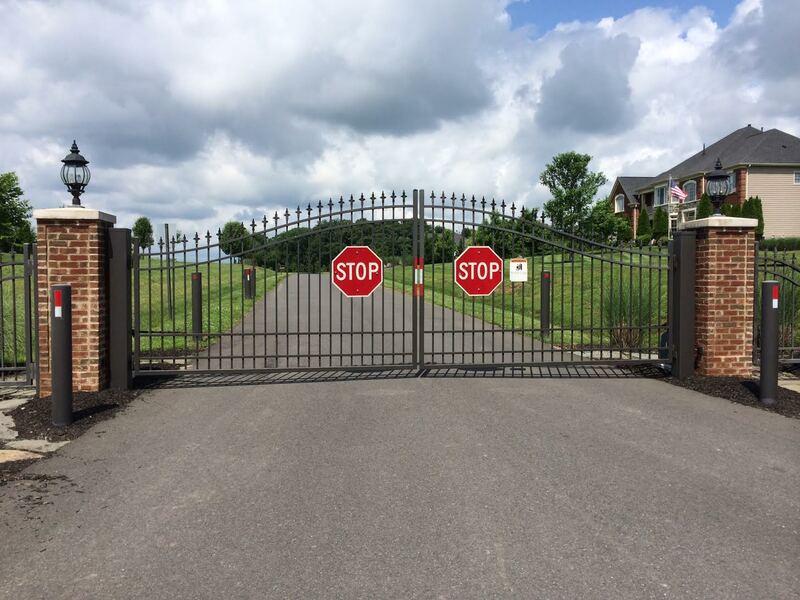 From advanced access control to heavy-duty slide gates, we can give you the protection you want. Save money on security guards and make your entrance logs easier than ever. Rest easier knowing your state-of-the-art system is only letting in authorized users. Does your yard look empty and lifeless? Do you want more security and privacy while adding curb appeal? Residential fencing will give you just what you’re looking for. 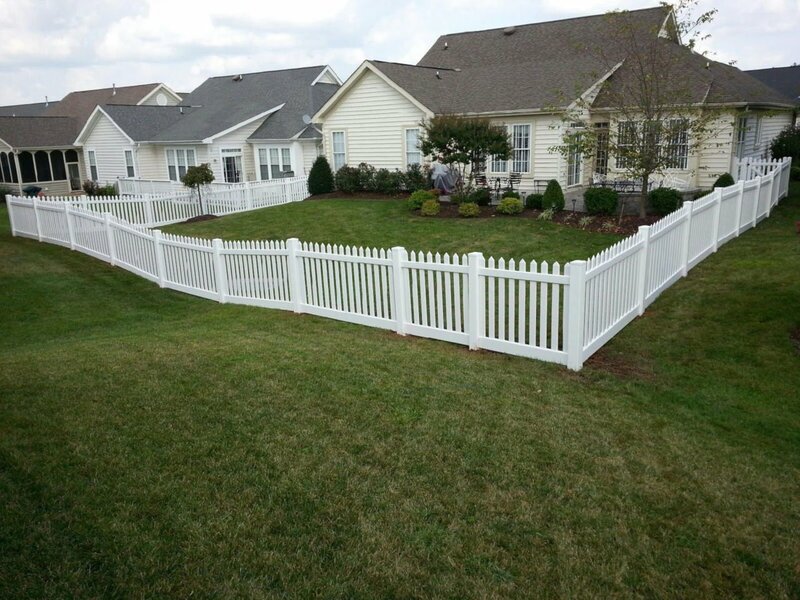 We design and install several types of fence that will have your neighbors jealous. Call us today for a FREE estimate! A vinyl fence offers you the largest variety of style, from privacy to picket in an array of colors. Vinyl fencing requires no maintenance! You won’t have to re-stain it like a wood fence or sand and re-paint like a wrought iron fence. That means fewer weekends spent on manual labor and more time with your friends and family. Besides being the “hassle-free” choice, vinyl fencing stands up to punishment well. A vinyl fence bends rather than breaking or warping when something hits it. Plus, we offer lifetime warranties on our vinyl products. 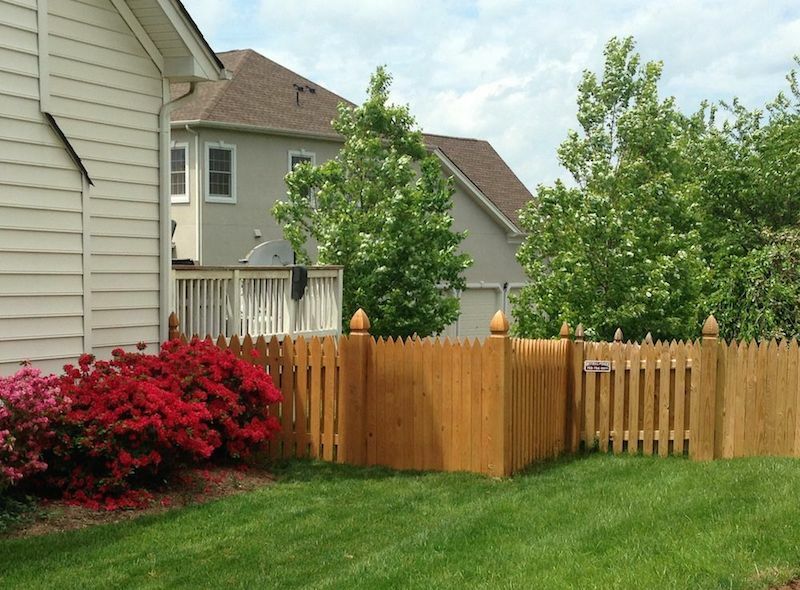 A wood fence lends a classic look with impenetrable privacy. We design, install and maintain wood fences in numerous styles: picket, lattice-topped, vertical board, post and rail, louver, 3 board paddock oak and more. Our clients turn to us for wood fencing because of our stellar pricing. 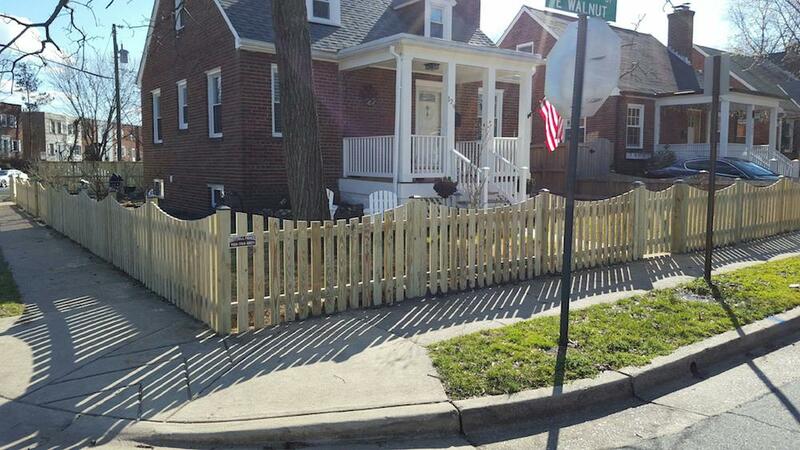 If you need a fence on a budget, you need a wooden fence. You get all the home security and privacy without a huge price tag. A wood fence, properly maintained, should last 20-30 years! If you want your fence to add prestige and value to your property, you should learn more about our aluminum fence brands. An aluminum fence enhances your landscaping and accents your gardens and plants. The elegant look suits all types of architecture, and our expert designers know exactly how to make your property shine with an ornamental fence. We offer lifetime warranties on aluminum fences because we stand behind their quality. Beitzell Fence can also secure athletic facilities for schools or municipalities. Officials trust us to design, install and maintain fencing and netting for a variety of playing fields. Athletic governing bodies want fences around tennis courts for good reason. They’re vital to keeping spectators and players separate. Our fencing gives fans unobstructed views and protection from errant balls. We can design regulation-height fences with privacy slats. The added height means tennis balls are less likely to sail far out of the court. The privacy slats keep players focused on the game at hand rather than distractions outside the court. Plus they prevent tennis balls from lodging in the fence. A critical component of any baseball diamond, netting make the game safer and reduce property damage. Baseball field netting catches foul balls, keeping the speeding projectiles away from spectators. With netting, you greatly reduce your liability. You should also consider a backstop for you baseball diamond. Backstops prevent property damage. Parking lots are typically built behind home plate, so you need something to catch foul balls that might head that direction. With the right design, you can decrease or prevent broken windows and dents. A backstop speeds up the game too. It corrals errant pitches and fouls, reducing delays. 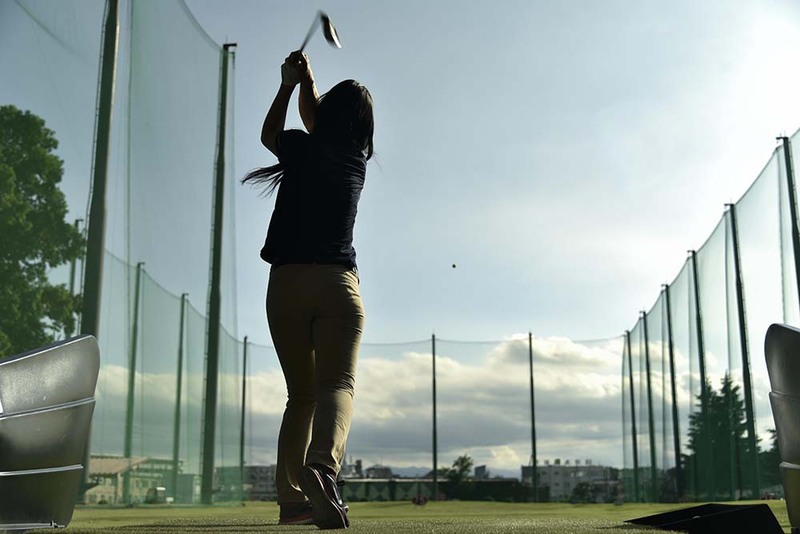 If you own a driving range, you know you have to plan for everything. Sometimes your customers will drive 300 yards and a mile high; sometimes it’s 50 yards at a right angle to the tee. To keep your golf balls on your property, you need an extensive system of netting. You don’t want balls launched from your business to reach your neighbors’ property or, even worse, the road. To prevent damage, think about installing golf netting for your range. 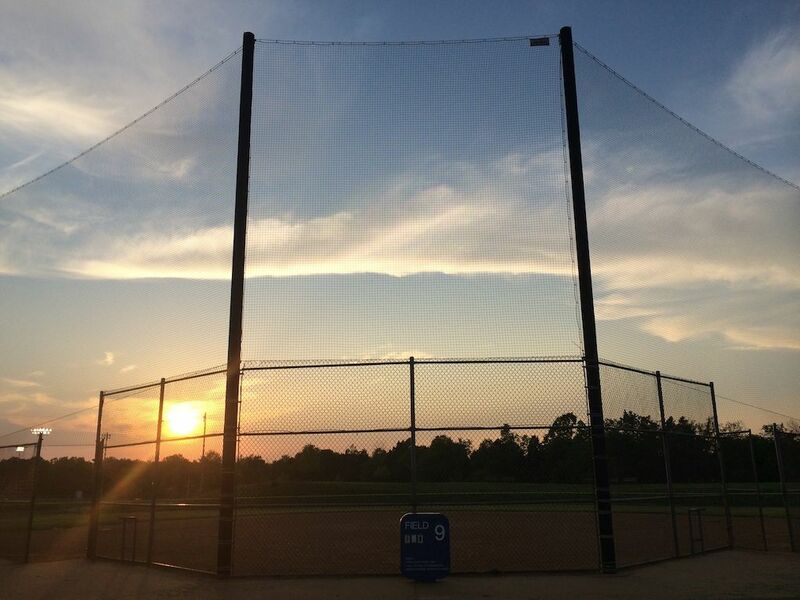 We also hang nets at baseball fields. With that added layer of protection, you can rest easy knowing the fans at your events are completely safe from foul balls. We at Beitzell Fence are committed to leaving our customers delighted with their fences or athletic netting. 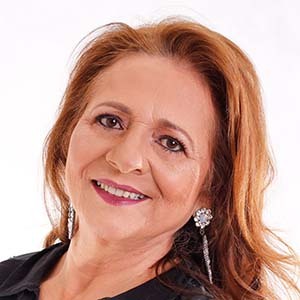 As a family-owned business, we rely on good word of mouth! Our customers love our commitment to beautiful design, speedy installation and thorough maintenance. Contact us today to find out why!